The cooler weather has meant that I’m rediscovering lots of items I’d [sort of] forgotten that I had. This autumn I’m finding that I’m wearing quite a few pieces for only the second time – I often buy things in the sales just as the seasons are changing so might get one or two wears out of them before the weather gets too warm/cold. This oversized roll neck sweater was only worn once to London Fashion Week in February and I never got round to wearing it again – till now. 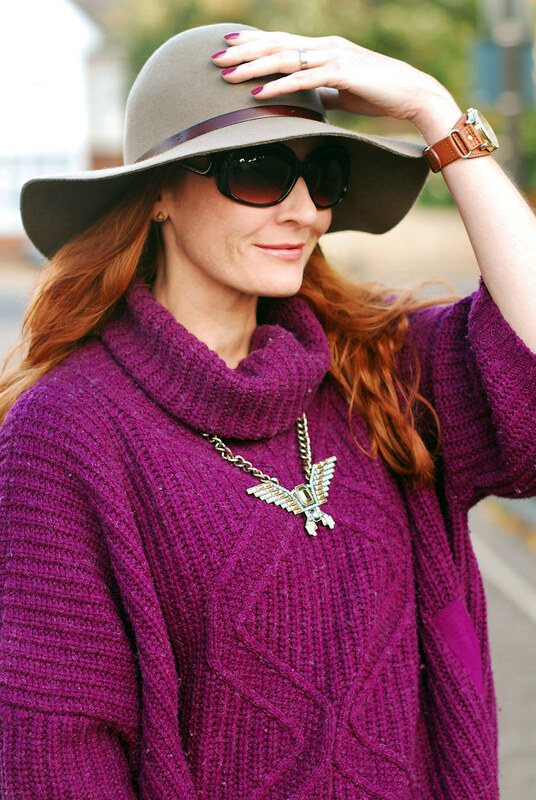 I went for a seventies-style look by adding my floppy felt hat (worn just once before) and the uber bargain that was the eagle necklace from Asos. I’ve had it for ages but not worn it yet because of the awkward length: too short for a pendant, and too long for a choker. 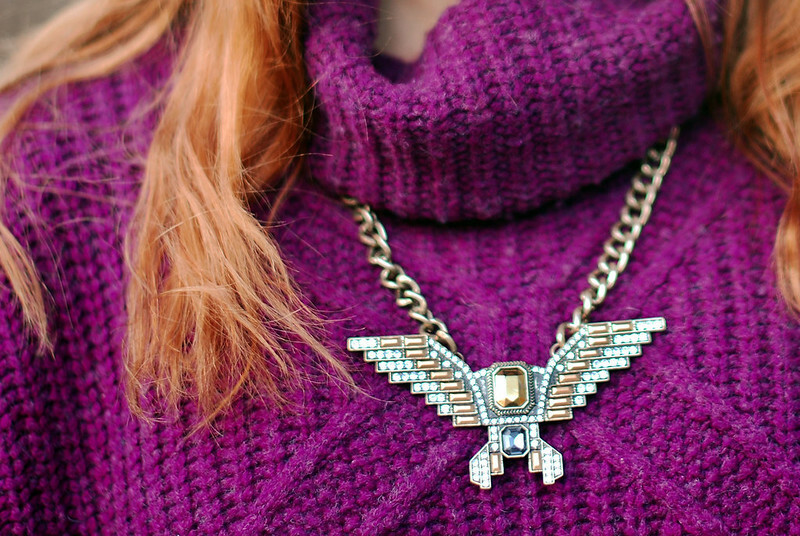 However, the style of this sweater allowed me to thread a plain gold chain through each end of the eagle necklace and hide the ends under the roll neck… ta-da, one perfect-length statement necklace! 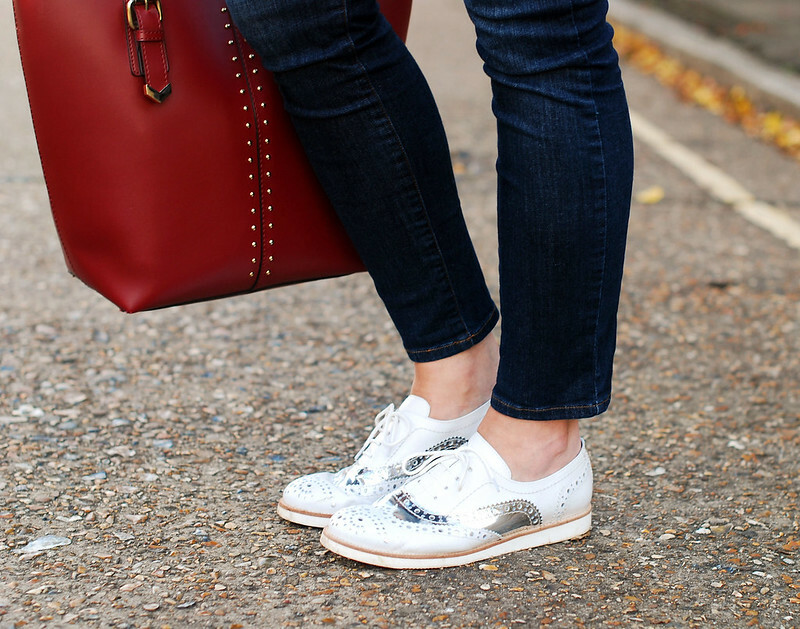 To tone down the seventies feel I added dark skinny jeans and my Kelya silver and white brogues, rather than going for flared jeans and block heeled boot. I generally prefer flashes of retro style teamed with modern pieces (it’s how I approach wearing vintage) to create a more eclectic look that I feel more comfortable in. Do you mix up your decades at all? Which is your favourite decade to emulate and what sort of pieces do you wear – do share in the comments! P.S. If you like this floppy hat you can see the last time I wore it here! So glad you like it, Cristina, thank you!! Great look! You are right, better to have a flash of the seventies than all over. Love this look! That hat is adorable on you. And I want that bag! Love the bright outfit. The shoes and necklace are so cool. I love the color of this sweater! Great styling!! Thank you ever so much, Mary – so glad you like it! I love your cool, casual chic look ! The big, cozy sweater is a great contrast to your skinny jeans! Aww thanks so much sweetie!! 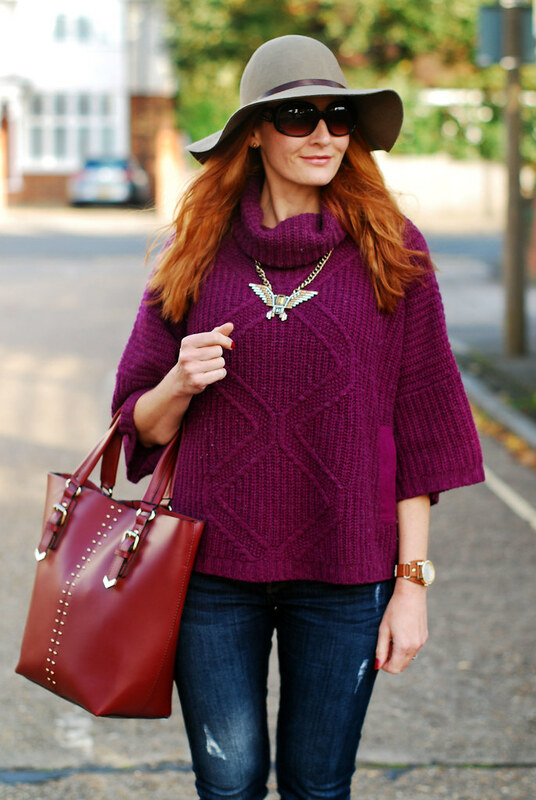 Love the purple sweater and bag! Such a fun look! Love that hat!